Following on from the inaugural Opening Up The Book in 2013, this second edition is again centred around and built upon the success of the Sheffield International Artist’s Book Prize. Thanks to funding from Arts Council England and Sheffield Hallam University, this year’s programme is much broader in scope and extent and includes brand new commissions, artists from around the world and presents a combination of research and practice made up of no fewer than thirteen exhibitions supported by performances, artist’s talks, workshops, informal events and a full day conference around the subject of books and technology. Writing an introduction to Opening up the Book is a bit like trying to define an artist’s book. The difficulty lies in the fact that the very nature of the artist’s book is one of stretching boundaries and definitions, playing with possibilities, throwing around ideas, experimenting with form and content and yet containing all of these elements at one and the same time within something resembling (to a greater or lesser extent) a book. The artist’s book is a hybrid form, encompassing visual art, design, typography, photography, conceptual art, traditional craft, writing, sculpture and any combination of the above. When we launched the Sheffield Artist’s Book Prize in 2008 we deliberately eschewed any definition, instead allowing artists to include their work or not. With Opening Up The Book we have taken a similar approach and the exhibitions include installation, film, photography, painting, performance and often books. In this way, artists’ books become the starting point for a series which explores the possibilities of the book and celebrates the ingenious ways artists have explored and continue to explore the book’s content and form. 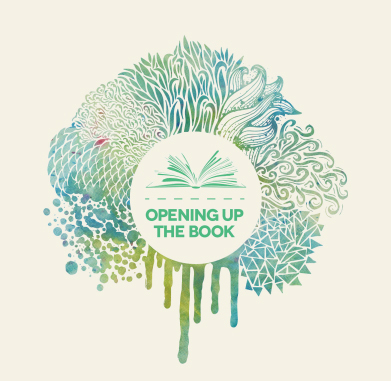 Almost all events in the Opening up the Book programme take place at Bank Street Arts in Sheffield which, thanks to the Sheffield International Artist’s Book Prize, now has an international reputation in the field of book arts. Our small galleries make an ideal setting for exhibitions which often require an investment of time with the exhibits and it is apt that our Listed Buildings, which over previous generations have housed schoolrooms, presses, designers and illuminators, are now the home to one of the most ambitious and eclectic programmes of book arts in the country. We hope you enjoy visiting more than once over the course of this three month long series and we welcome your feedback and views online or in the Centre.